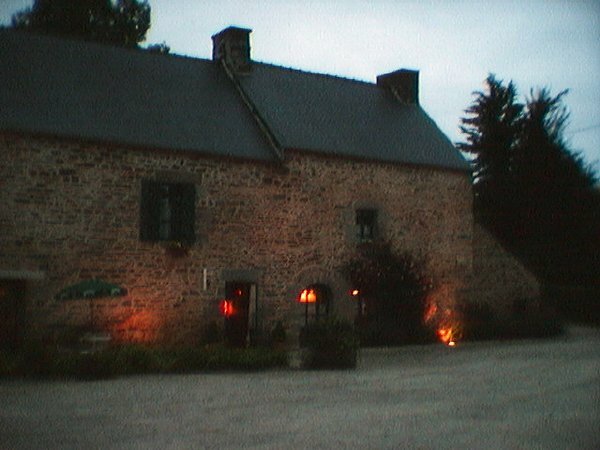 This is l'Auberge de la Cour Verte, in Dol de Bretagne, where we had a wonderfully hearty meal whose main dish consisted of fresh steaks grilled over an open fire in the dining room. 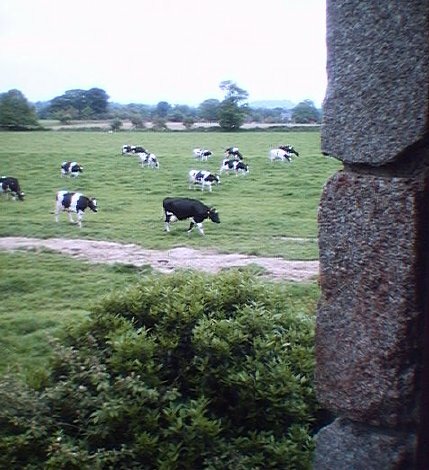 And here is the view of the cows outside of our window at the métairie in Bouillante (between Dol-de-Bretagne and Epiniac). 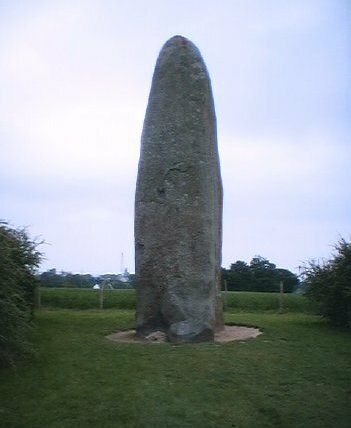 The Menhir du Champ-Dolent is one of the many monoliths scattered around Brittany, indicating the Celtic roots of the area. When we got out the car to take a look, we observed a guy walking around the menhir taking energy readings with various simple instruments (divining rods, among the ensemble). Cool! This is a fairly typical example of the Normand houses found in the area. Not merely monuments to a forgotten time, there are actually a good number of these dwellings that are lived in today. Return to the JOURNAL page. 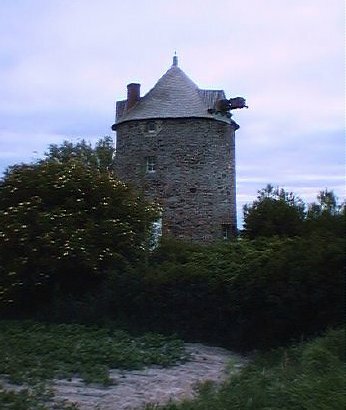 Return to the NORTHERN FRANCE page. Go to the St-MALO et Le MONT St-MICHEL page. This page was created by David M. Rojas and last updated on Monday June 14, 1999.